Irene’s neighbor unintentionally causes the death of her dog. Now she needs someone to help her bury the animal and her new enemy happens to be the only helpful person around. Boris arrives in a mountain village to bring back his deceased friend’s belongings to his only living relatives, his grandma and grandpa, only to find out that the elderly couple is unaware of the death of their grandson. Boris stays for dinner, hesitant about what to do. A Bulgarian shepherd stumbles upon a lost illegal immigrant in the mountains near the border. Their encounter bridges two worlds: different ethnic backgrounds, languages, and cultures. Soon they will have to face the fears and aggression of the local villagers. 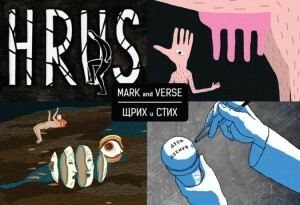 “Mark & Verse” is a film project throwing a bridge between poetry and animation. It visually interprets six original contemporary Bulgarian poems, each told in a different manner. Animation has no limits and very much like poetry renders visual symbols and metaphors powerful. Stories of doomed paper boats, intimate links to film genres, petty morning crimes, ice-cream hopes, urban moods, and industrial revelations are interwoven in this visual poetry experience. This is a film about love, ten bottles of vodka and a town that must sink. An aging man goes back to Sozopol and brings along his memories and ten bottles of vodka. It is clear that when the vodka is over, something must happen. Something that will change his life forever. Because when hope is gone, miracle is the last resort.